What would you do if your doctor sat you down and told you that your baby may have Down Syndrome? I’ve not known exactly how to share this publicly for fear of sounding too dramatic or, at the other extreme, too flippant. But now that my emotions have had two weeks to level out a little, I feel ready. After all, so many of you have become genuine friends… and I want you to know about this season I’ve landed in. But no, surely it was nothing. Dr. Kerry called me in and asked how I was doing. “I just want to hear the baby’s heartbeat and hear you tell me that everything is okay,” I immediately replied. 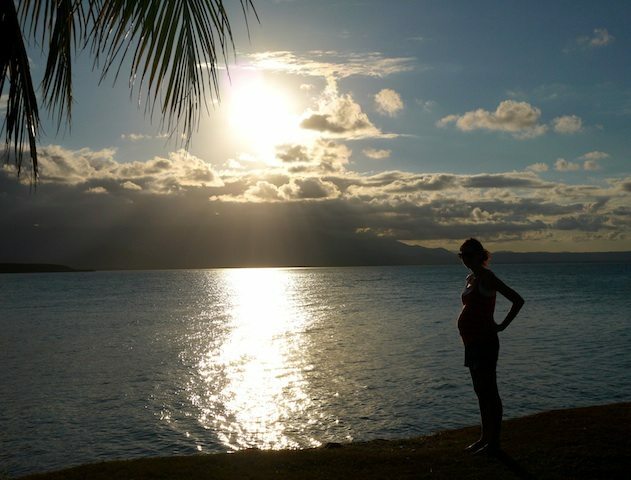 “I’ve felt really different with this pregnancy…” my voice trailed off. She looked at me with her head cocked to the side and smiled warmly. I was a little embarrassed, not wanting her to think I’m one of “those” moms who worries and obsesses over everything. Because generally, I’m not. Naturally my outlook on things like this is a postive, optomistic one. It’s just that this time had felt different in a way that I couldn’t even quite pinpoint, much less put into words. After listening to the baby’s heartbeat (which thankfully was normal) we sat back down near her desk and she gently pushed a piece of paper in front of me. It took me a few moments to realize that she wanted me to read it myself. I quickly skimmed through it, head swimming in medical terminology that meant nothing to me, and then I read it… chromosomal anomaly. I knew what that meant and for a moment it took my breath away. “Can you explain this to me please?” I finally asked. She proceeded to tell me that they had found abnormalities on baby’s heart, brain, and kidneys suggesting the possibility for something such as Down Syndrome or another chromosomal deviation. Apparently one of these markers is something to note, but often disappears by birth, whereas three of them together could very well indicate something more daunting. My heart sunk as thoughts raced through my mind: This can’t be happening to me. Where is Ryan? Is this why I have been feeling so uneasy for the past few months? Is this my mother’s intuition or have I made the whole thing up in my head? My lovely doctor took as much time with me as I needed. She let me cry. She answered my questions. She reassured me. She patiently waited for me as I tried to entertain Levi while at the same time trying to wrap my brain around the bombshell that had just been delivered. She also called a specialist while I was still there in her office, read the report to him over the phone, and got me on his “urgent” list. Thankfully this specialist is based at our home hospital – the very one where I had Levi and will have this sweet baby. He is the only specialist of his kind within a 17-hour drive and he knows his stuff. He would see me, re-do the scans, and advise us from there. I left the doctors office and drove straight to Ryan’s work and told him what happened. I think he was even more stunned than I was, but he responded with a quiet calm as my tears saturated his shirt. I spent the next two days in a blur. I researched a little, I cried a little, but overall I just felt like what was going on around me wasn’t actually a part of me yet. Perhaps the shock of it all kept me feeling a little numb. And then on the second night while I lay in bed speaking to God in the darkness and comfort of my own room I began to sob – deep, gut-wrenching, earth-moving sobs. I cried for God to have mercy on my son. I cried for God to have mercy on my family. I cried so hard that my sinuses completely blocked and I had to go lean over the toilet so that I could vomit when I could no longer breath. I’ve never cried like that in my life. Ryan held me and helped me into a steaming hot shower where the vapors opened up my airways and I stopped shaking, started breathing, and let the tears wash down the drain. I went to bed that night exhausted but knowing that I was moving forward. I was embracing the reality of my circumstances as well as my own response to them. The next two days were still very difficult. I was teary and unmotivated and depressed – not the “I’m so sad” type of depression, but the “I just want to sleep it all away” kind. I have to say here that from the very first moment when my doctor slid that paper across her desk I felt a peace. I felt shocked, uncertain, concerned, and scared… but I also felt peace. It’s hard to describe this kind of peace unless you are a spiritual person. My mind reeled with questions and confusion and anxious thoughts… but it was a peace that ran deeper than my mind. I can only describe it as a peace that was buried within the depths of my spirit. It was a peace that stemmed from the fact I knew that I knew that this baby was meant to be no matter what test results were presented to us. No test results or diagnosis could change the value of this precious little soul growing in my belly. But having peace didn’t mean that I had it easy. I still had feelings of fear and hopelessness and sadness and despair. The fact that I had feelings of something being “not quite right” for the past few months made it harder for me to cope. I felt as if my fears and concerns were all legitimate… and those are not feelings you ever want to have validated. Although the results shocked me, there was a part of me that wasn’t shocked… because a part of me knew. But honestly, that didn’t make it any easier. If anything it made it harder because all of a sudden my darkest suspicions were given a name and an identity. Initially I had not wanted to send anyone into a panic and had not wanted to be appear over-dramatic about the whole thing. We only told our parents and two or three others, and at the time that felt right. But by day five I knew it was time to get more support. I needed it. I emailed some friends to tell them what was going on. Pouring my heart out I asked them to pray – pray for the baby, pray for me, and pray for our family as we waited. The next morning I woke up a different person. I woke up hopeful. Yes, I had been at peace… but peace without hope is still hopelessness – not a pretty place to find yourself in. But that morning I woke up with hope in my heart. There is no other way for me to describe it apart from the supernatural. The only thing that changed from the time I went to bed to the time I woke up is that there were suddenly around twenty friends praying. Those prayers infused me with hope. They must have. There is just no other explanation. A few days later Ryan and I returned to see my doctor. More than anything it was just a mental health visit for me. There was nothing she could do to change our test results, and nothing she could do to give us a better indication of how serious the findings were. But she could listen and offer support. She took me through it all again – this time with Ryan by my side – and personalized it. She told me how she felt about it as a doctor and how she would feel about it as a mother if she was in my shoes. She assured me that I was responding well and alleviated some of our worst fears (that baby could have Trisomy 13 or 18) pointing out that there were no obvious deformities in the body size, limbs, and head shape (which would be unmistakeable indicators). Just hearing those words spill from her lips helped to fill us with even more hope. Leaving her office both Ryan and I felt encouraged. We’re well aware that baby could have Down Syndrome, and that would be extremely difficult to process and deal with, and yet we were both so relieved that we weren’t staring down one of the more devastating outcomes. (At least to us Tris 13 or 18 seem much more devastating than DS.) As strange as it may sound, Down Syndrome sounds do-able to me, whereas the thought of giving birth to a baby who could die shortly after made me feel like the earth would cave in and swallow me up along with it. The specialist we need to see is in high demand since he is the only one within a 17-hour drive and patients travel from all over the state to consult with him. Our appointment to see him is next Thursday. I’m no longer fearful. I’m no longer hopeless. I’m no longer anxious. We don’t know what our time with him will bring. We could leave his office feeling greatly reassured and encouraged, or we could leave his office with more grief and bad news to cope with. Either way, we’ll face that moment when it comes. In the meantime we celebrate the fact that we’re able to have children at all. We celebrate the fact that God has given us not one, but two precious little children to love and care for and nurture for as long as they’re ours. We celebrate the fact that praying friends, words of encouragement, and a genuine faith in God really do make a difference when life dishes out the unexpected. I have learned first-hand in the last two weeks how a threat to life-as-you-know-it can actually be a beautiful thing if you’re open to it. There is nothing like a threat of this nature to bring life into sharp focus and priorities into rapid alignment… and that, my friends, is always a good thing. I’ve been hugging my baby a little tighter and looking at my husband a little more intently these days. I’ve been praying a little longer, breathing a little deeper, and listening a little harder. No matter what the outcome is in this situation, I feel confident and sure that life is good and Grace will sufficiently meet us wherever we find ourselves in the days to come. P.S. Ironically (or perhaps not-so-ironically?) I recently wrote a post called Do you know about the magic? about this very thing — Down Syndrome and the possibilty that every parent faces. Above photo: 21/21 weeks pregnant with baby boy number two. Wow, Adriel. I am speechless. Crying, and praying. You are one of the most beautiful women I have ever had the pleasure of knowing. Seriously. And, your strength in moments like this…your beauty just shines. I could not even imagine, as a mother your heart break and joy all in one moment. It is amazing how “bitter sweet” in the BEST way things like this can feel. Praying for you, Ryan, and little Levi. Lots of grace. I know God has the best plans for your new Bubby! I can’t wait to see his handsome self, in whatever perfect way God has made him “him” in 20ish weeks! Thank you for being SO transparent. I can only imagine how hard it maybe! I know you are touching the hearts of many mommies with the same situation or fears. I know he will be LOVED so SO loved! Praying with lots of love! Keeping your family in my thoughts and prayers. So thankful that your worst fears were put to rest and baby is growing normally. I love what you said about the supernatural part – there really is no way to explain the power of love and prayer. I’m hopeful for you and your family. I’ve been reading along with you for a while. As a mother I am inspired by you. I just wanted you to know that though I haven’t read your blog before, I saw your tweet and read this (entire!) post. I don’t know you, and I don’t know the journey that awaits you, but I will be sending very fervent prayers your way…from one mother to another. Lets face it, it’s all I can do.) Whatever the outcome of your babies journey, from what I can tell from this one small post – with you as a mummy, life will be purposeful and fulfilled. Adriel, Your faith amazes me! I read this with tears streaming down my face. Im praying for you and you sweet family. Thank you for pouring out your heart and sharing this with us. How precious and honest your response. I cried along with you and will now be praying for you with fresh vigor. Your heart is huge and big enough to love this baby in a life changing way. God trusts you. wow! Thank you for sharing your experience, your struggle, and for allowing the Lord to give you hope. I’ll be sending tons of prayers and good thoughts your way. Thank you for sharing with us and please know that you have many, many women praying for your baby and family. Thanks Casey. Daisy is just perfect as she is. God knew. 🙂 Of course if things had turned out differently for her/you, she would be just as perfect…. but I’m glad things turned out the way that they did. She is precious and I love both of you! I am absolutely speechless right now. First of all, let me say that I admire you and applaud you and your husband for handling this so well. I can’t imagine the emotions you are feeling and the worry that you still must have. It sounds like your Faith and your outlook are unwavering and you are hitting this thing head on. Just know that you ARE in our prayers constantly. We’ll be lifting you, your precious baby, and your family up. I know it isn’t always the most encouraging thing to hear, and sometimes it can be downright frustrating, but remember that God doesn’t give any more than we can handle. And IF this baby does have DS, or something else, YOU and your husband were chosen, out of everyone, to love him, care for him, and raise him… because no one out there could do a better job. Hugs my friend! Lots and lots of them! Yes, that is encouraging isn’t it? God is big enough, no matter what life brings us. There are a lot of uncertainties in life, but of this I am sure. You write so beautifully about such a difficult topic. You, Ryan, Levi and the baby are all in my prayers. Whatever the outcome, I know that you and Ryan will do an amazing job of being parents. You are a real example of an awesome women of faith…you inspire. You’re emotions are so honest. As a first time expectant mother, I am fearful of these things and cannot imagine if my fear is validated. You are so brave to take this on with such grace. God is good. He really is. I was going to tell you to go to Kelle Hampton’s blog, but it looks like someone else already did. It is heartbreaking and then uplifting. It’s beautiful…just like you! I can’t imagine what you are both going through. I am praying for you and Ryan. God has a plan for this little boy and I’m excited to see how god uses this little life for His kingdom. Love you both! Lots more love, and endless prayers…from your non-praying (at least in the technical sense of the word) friend 😉 You are truely incredible! Oh Adriel, I’m praying hard for you and for your family. I think you’re right to find peace with it – your baby was meant to be with you and Ryan, and to have Levi as his older brother. Whatever challenges God is laying at your feet, you can do it and handle it and see it through. But I’m still praying that the happiest outcome happens. Please keep us updated, either way! Adriel, thank you for sharing. You are an amazing woman of God and all three of your boys are lucky to have you. As you are so gracefully demonstrating, God doesn’t give us more than we can handle – though I know after experiencing my third miscarriage, I found that truth hard to believe. Your baby is exactly who he is meant to be and exactly where he is meant to be. Thank you for living and loving so transparently. I am praying for you and your family. This emotional and honest post moved me to tears. I’m praying with you and your family, for continued peace and strength as life moves forward. No matter what path God has laid out for your family, remember that there is no place you will go where he has not already been. He is with you. Six years ago, some friends of ours had a daughter who was born with Downs. It was never detected the entire length of the pregnancy, not even the heart issues that she had. Matt Kelley (the dad) shared his story on our church’s pastors blog (he’s the worship pastor). I think it will encourage you. Thank you for sharing the link. That is a beautiful story and a beautiful family. God is good… and it’s up to us to recognize it and respond appropriately. What a wonderful example of a family responding well. Thanks so much for taking the time to send me the link. It’s a beautiful prayer. Oh Adriel! My heart and prayers will be covering you, your family, and your sweet little baby. You are a strong woman, fearfully and wonderfully made. Your baby will be the same…no matter what…perfect…created by Him. God doesn’t give us anything we can’t handle; sometimes though he gives us things to stretch us, make us grow, further our faith; I just wish (as I’m sure you do at this moment) that He didn’t think we could handle so much. My prayers are with you friend. My heart goes out to you. May God’s grace be on you and your baby. I will be thinking about you next Thursday. I hope and pray all goes well…whatever “well” is. What a reflection of God you’re showing everyone in this heartfelt, raw, beautiful, transparent post. Thank you for sharing your heart, putting it out there for the world to see, and I pray you get some comfort and continued sense of peace. You have been on my mind daily for the last week or so, and I sensed there might be a reason! I am praying for you, and am glad you shared this with us so we can pray with new focus. I know God knows the needs of those we bring before Him, but I consider you a friend and want to be able to support you any way I can! Let me know if there is anything I can do from a (huge) distance! 🙂 Love you, girl! Adriel – I went through the same thing with my daughter. She had three soft markers for Down’s and we got ultrasounds at a specialist’s office every two weeks for the last two trimesters to follow her progress. Her issues resolved themselves at birth but, your heartache – I felt it. I cried just like you did. I had to pull the car over on the way home from my OB/GYN’s office because my tears made seeing impossible. I wish you nothing but the best and I can tell that your heart is big enough to handle anything that comes your way. And your life will be filled with love no matter what the outcome is. You may add me to your list of prayer warriors. May God’s peace remain with you, and fill you, no matter the outcome. This precious life is loved already by so many people, and nothing will ever change that. I haven’t been following your blog very long, but I’ve been following long enough to know that this sweet babe is very blessed to have you for his mama. I am compelled to comment yet don’t even know that I have anything worth saying. Thank you for sharing your soul, your shock, the wrestling, the peace, the process, the acceptance … so many moms know exactly how you feel b/c they are living it … the rest of us don’t and can’t imagine how we would respond. The most important thing is that God is with you and can handle all of your anger/frustration/concern/desire for change and cover it with His great love and peace. That has clearly been happening for you. Much love and prayers over you!!! Wow. I’ll be praying for you and your family. God is good and He will continue to stregnth you guys! Your baby will be perfectly unperfect. And it will be ok. 🙂 I love reading your blogs. Thank you for sharing your story in this difficult time. Oh Adriel. I couldn’t take my eyes off this post. I read every single word, through blurry tears. You are a beautiful woman, mother, wife…person. There is no doubt you will love this child with all that you are. He is lucky to have you loving, supporting, and encouraging him no matter what. Thank you for sharing your heart so vulnerably. I am so, so sorry that you are having to walk through this but I am encouraged by your faith. Know that I am praying for you and Ryan and Levi and your sweet baby boy who I know God is holding in His hands even as you carry him within your womb. Believing His will be done for the life and destiny of your son and your family. Yes Jessica. That is my exact prayer right now: His will be done. When words fail me, when logic seems illogical, when miracles seem elusive… that truth still remains: His will be done. Thanks for your friendship, prayers, and support. Wow, that took courage to share this story and I thank you for that. I’m not a big prayer person, but I’m definitely praying for you, your sweet boy, and your whole family. We had a little scare with this pregnancy too, when my blood screening results were significantly different from the 1st trimester to the 2nd trimester. Fortunately there were no markers in the ultrasound, but I still think there are no guarantees. I have really mixed feelings about all of these screenings — at times I think they’re too sensitive and often inaccurate, but at other times I think how beneficial it can be to be mentally prepared for the possibilities. No matter what happens, I know you and your family will persevere. This baby boy is so lucky to be born into your incredible family and especially to be the son to such a loving, beautiful person. Lots of love! I read your blog often, and I’m so encouraged by your honesty and faith. Reading your blog encouraged me through some tough times raising a newborn in the Arctic winter (i.e., someday, my boy will be as cute as Levi!). I remember the fear when our son was non-responsive at 35 weeks (he’s a happy 6 month old now), and I feel for you. We’ll definitely be praying for you and your sweet family. I am thinking of you, praying for you and your three boys and lifting the four of you up to God. We must trust Him in these times of uncertainty and your grace and faithfulness is an inspiration to all of us. Thank you for being so honest and sharing. Hi there. I’ve been following your blog for a while but I’m not sure if I’ve ever commented on it. Sorry about that! I just want you to know that I read this entire post, start to finish. I cried because I can only imagine I would feel the same as you do if I were in this situation. I will absolutely be praying for you, your baby, and your entire family. The hope that you have found in such a difficult time has given me hope not only for you, but for my own personal difficulties. p.s. thanks for introducing yourself. I just said a prayer for you and your family! May God continue to give you peace and hope during this time. This is one of those times when you want to say lots of lots of things to “make it better” but just can’t find the words. I am so encouraged that you guys continue to seek the Lord through this situation and I will just be praying that you continue to experience His peace!! He teaches us to pray for His will to be done….and sometimes that is so hard….but once you have spent time there you want to stay there! We will be praying for God’s will in your family and that he continues to push you closer to one another and Him!! Thank you for being vulnerable, and thank you for sharing this with many. Praying for you, your health, your baby, Levi, and your family. Praying grace and love surrounds you. Thanks for such a r.a.w. post…I can only try to imagine how you’ve been feeling, transitioning, through the past couple of weeks. You are a true inspiration. Your dedication, love, commitment to your littlest one is constantly felt throughout your posts and I admire your ability to hold on to that light at the end of the tunnel. God is great and there truly are no accidents. You and your family were chosen for this journey and it’s honoring to know that you’ve been picked to be this little boy’s mother – regardless of color, shape, or chromosome count. Adriel, your words are so open and honest and I am so proud as another woman, mom, blogger for how you are sharing you heart. I cannot imagine the fear and anxiety you and Ryan are feeling right now. I will be praying for the doctor’s visit next week, praying for wisdom and accuracy from him, praying for peace for you until that day, and ultimately, praying for God’s healing of this precious baby inside you. Know that you have a world of prayer behind you right now. I’m not normally a blog commenter…but I just had to respond to this post. Keep trusting in that peace that God has provided you with. Its one of those times where you never expected it to happen to you…I ended up marrying someone with a mental health problem that I NEVER expected to be dealing with…and he has been the most INCREDIBLE blessing in my life…despite the challenges and the times where I ask…why me God? I know its easy for others to say…you’ll be fine…but you are honestly the most capable mama, and from spending a bit of time with Ryan through RTO…you’ve married a good one too. I have no doubts in your abilities to raise an amazing kid….whatever happens. Close to 40 comments later, blogging “no no” or not, I read through your entire post and thought it was amazing. Love and prayers to you and your baby boy. I went throgh those uncertain two weeks. I had the abnormal quad and went to the specialist and had the amnio. I went more as a preparation. Had normal ultrasounds and fetal echos. Dna doesnt lie lie though n my baby girl has a partial 3rd chromosome 21. I never once thought to give her up or abort her. 90 percent of the women do. I couldnt. I think ofhow I love her. How I prayed for so many years for a child. Shes been the biggest blessing. I thank god hre rhinks im such a great mom to let me have an angel on earth. Great post! If I could just give you the biggest hug and cry with you…I totally would. I’d make us a cup of tea. We’d talk while our little dudes played (quietly? naw, they’re boys!). Adriel, I am praying for you and that little Bub growing in your womb. He is fearfully and wonderfully made, and God is in control. I’m praying for you, for Bub, for Ryan and for Levi. Thank you, dear lady, for opening up to us. Oh. My heart hurts for you and I’m praying with you. I think no one can know how they would respond in this sort of situation till it happens to them. There’s a little girl with severe DS at the orphanage I’ve been volunteering at. She’s fairly new and i haven’t had much time to spend with her but she’s darling. She is so gentle and loving with Xave. My mum went through a lot of the unkowning when she was pregnant with my brother and then I think one of my youngest two sisters. The doctors were sure my brother was going to be DS (I don’t remember the procedures they took to confirm that 18 years ago). Many scans later — the last one being around 7/8 months pregnant — they were also convinced he was a girl. But he isn’t a girl, nor does he have DS so I’m hopeful right along with you. But regardless — Baby Booker, you’re so loved! Thanks for breaking the blogging rules to be so real with us! Adriel, I am keeping you and your family in my prayers and I know that everything will work out for you. God won’t give you anything you can’t handle, and I know you already know that. You are very brave and strong and wonderful mother– one who I truly admire. I also want to encourage you to check out a blog by a young woman who was completely blindsided when she gave birth to her second girl and realized immediately that she had down syndrome. Her initial reaction was pain, agony and hopelessness… but now she couldn’t be happier with her beautiful little family. You will be completely inspired by her, if you haven’t stumbled on it already: http://www.kellehampton.com. There’s a link at the top of her blog called “Start here if you’re new” that takes you to her incredible birth story with little Nella. Thank you for sharing this very personal story with us, your readers. I will be praying for your family and send you all the positivity that I can muster. Either way, I am confident that your family will get through this, look back on this, and be able to smile, perhaps laugh. All children are blessings from God, and there is no deformity or abnormality that can change that. Remain hopeful and take each day at a time. I’m wishing you all the best. Just stumbled across your blog for the first time. My son, Nathan, has Down syndrome, although I didn’t know until after he was born. My first child was “born sleeping” due to a chromosomal abnormality and my second was a preemie and has cerebral palsy. I had a feeling of “impending doom” during my pregnancy, so the diagnosis at birth was in many ways a relief. My blog, “Bringing the Sunshine” is about finding the beauty and positive aspects of every situation, a lesson I’ve learned through my two special children, and it appears that you share that outlook. I love this post and your honesty. We found out our son had Down syndrome when he was around 3 months old. He is almost 10 and I still have some very rough days. I love that little boy with every ounce of me, but I struggle with jealousy and resentment towards those that have typical kids, even though I know they have nothing to do with my son or his Ds. I love, love how well you and your husband are dealing with it and love the outlook you have taken on. Your baby has been very blessed to have you both. You’re words are inspiring and I hope they are read by people who need to hear them the most. Your reaction to this news reminded me of my own reaction when our 6-day-old first baby was diagnosed with cystic fibrosis. So much crying, and then the moment when you finally tell people and ask them to pray. And, of course, the understanding that you are this child’s mother for a reason and that you are so blessed to have this baby to call your own. And this baby is blessed to have you. Thank you Nancy. And yours is blessed to have you – a mom who knows she’s the mom for a reason. Oh, I’m so sorry it took me all day to read this, but we had plans today with the boys. I have been thinking about you all day and now I’m in tears after reading this post. I’m so sorry you have to go through all of this but it sounds like you’ve received many blessings, too. Our most challenging moments are when we learn the most and remember to be thankful. I miscarried at 11 weeks and was told the baby had trisomy 15, which they said was completely incompatible with life. When it happened, like you, I went to the doctor alone because my husband couldn’t make it. It was the hardest thing I’ve ever had to go through, and I completely understand how you felt in that office and that really made me cry. Nobody should have to hear news like that without a loved one present. But, from my miscarriage I also held my son tighter and became incredibly thankful to have just one child and a supportive husband. And like you, I cried harder than I’ve ever cried – I call it the dark night of my soul – because I did cry from the soul, like you. Afterwards, for 2 weeks, I felt a little light in my heart – a peace, unconditional love, a knowing that everything was going to be ok. I understand exactly what you mean by the feeling of hope and supernatural. I felt it was the little soul staying with me a little longer, and it felt lovely, and helped me get through the worst part. But, now I think it must’ve been God giving me a little hug. Everything will work out well, my friend. Have faith. Doctors don’t know everything and miracles are God’s work. I have a friend who was told her son had down syndrome while she was pregnant with him. Like you the measurements came back suggesting down syndrome, but she denied further testing and left it to God. He is perfectly fine. But, I will also tell you this: I have an identical twin with cerebral palsy, she lives her life in a wheelchair, and I’ve learned more about being loving, kind, and accepting of all people, from her than I have from anyone else in my life. She is truly the kindest, most loving person I know. She is an advocate for people with Down Syndrome and she always tells me that they are the loveliest, kindest, sweetest souls in the world. She loves them dearly, and they love her. Sounds like either way, you will have an amazing soul to care for, love, and learn from. I will be keeping your baby and your family in my loving thoughts and prayers. And thank you for sharing your story so eloquently, gracefully, and honestly. Big virtual hug. You are a gem Erin. Thanks for sharing. I’m sorry that you’ve had to go through what you did with your little baby, but I’m so glad that you could feel God’s presence in your time of greatest need. There is nothing like it in the world (or beyond). And yes, you are right, doctors can only so do much. And where their ability ends, God’s begins. Miracles are his business and I whole-heartedly believe that. 🙂 Thanks for your prayers and hugs. p.s. Your sister sounds like an incredible woman. What a gift. You are a wonderful mother and woman. My heart goes out to you and your family. My prayers are for you and your family. This baby is blessed to have you as his mother and the family he will be a part of. God bless you all. Hang in there Adriel. I read every word of your post and every comment too. I am of the non-praying kind, however I will be thinking of you and I hope the positive vibes continue to bring you peace and serenity. Praying for you. Thanks for sharing. I’m sure it was hard. Hugs and prayers sent your way from the other side of the world. I read the whole post. Beautiful. Thinking of you Adriel! God only trusts these magical ones to those who He feels can bring them up into this world with their whole hearts. I am crying and smiling – because your heart has more than enough room for this little guy. Prayers for your continued peace and prayers for your family. So I read the whole thing… Thankyou for writing so real, broken and so beautifully. Your words are inspiring and challenging to me- would I react with the same faith? Becoming a Mum has increased my capacity to love more than I could ever imagine but the flip side of course is we open ourselves to greater grief or pain.. but I would never trade it in… being a Mum is such a privilege and a gift. After reading your post i had to go look at my little girl who was sleeping and just thank the Lord again for entrusting her to me. I will be praying for you and your family and for precious bubs. Yes, you are so right. There is no great capacity to love or know pain, I’m quite sure of that. Your response to reading my post… there’s nothing more that I could hope for. You’re such a good mum. I sit at my desk at work (on my lunch break of course *wink*) with tears running down my cheeks. I’m just 17 days away from my due date and emotions are strong these days, to put it mildly. You are a woman that I look up to and admire. You are a woman that I respect. You are a woman that influences the world around her. You are a woman who is deeply loving, deeply loved and inspiring to all those around her. This post breaks my heart and heals it all in one swoop. You are so strong! You have God on your side and with Him all things are possible. I felt after reading this post that I wanted to pick up the phone and call you, cry with you, encourage you, listen to you, and if nothing else, just breathe with you knowing that God is in control. For some reason, unknown to me, I feel very connected to you. It has to be a God thing. I will be praying for you, Ryan, Levi and bambino #2. You are loved by so many more people than you know. You mentioned that 20 or more friends were praying for you and giving you hope. I bet that number is more like 200+. 🙂 God is good. You know that. I know that. Keep remembering that. Oh yes, you are very, very right. And I suspect that even 200 is a very low estimate by this point in time. I think our little boy is incredibly loved by more people than I can count. I’m so, so, so grateful! Thoughts prayers lots of love. Im sorry you are dealing with this. My heart goes out to your family. If your sweet baby does have special needs i know it is bc God needed a family that would be the best parents for this baby. Thank you for linking to this on SITS! What a beautiful post. I can totally feel your emotion in it and to write so genuinely about how you felt is amazing. So glad you had this outlet!